“Are you sure you want to go out in this weather?” he asks. It’s enough to get us moving from the comfort of the lounge, out into a storm wild enough to blow crabs up onto the beach; not enough deterrent, though, to keep us from eating crabs with Sean in Byron Bay. 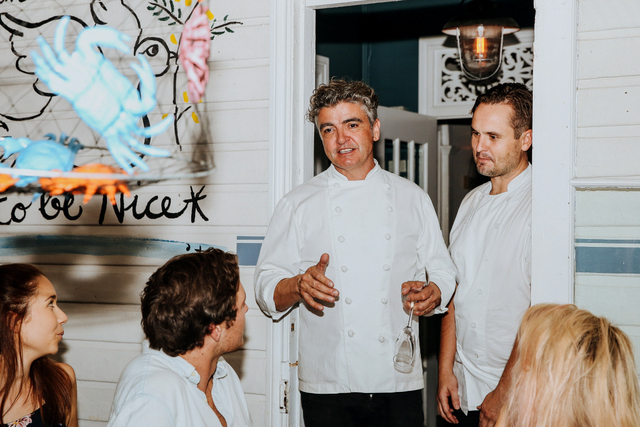 It’s the 3rd Crab Festival, from 30th March to 30th April 2018, held at four of renowned chef Sean Connolly’s restaurants: Sean’s Kitchen at the Adelaide Casino, The Morrison Bar & Oyster Room in Sydney, Sean Connolly at Dubai Opera, and The Balcony Bar & Oyster Room, Byron Bay – the site of our feast. 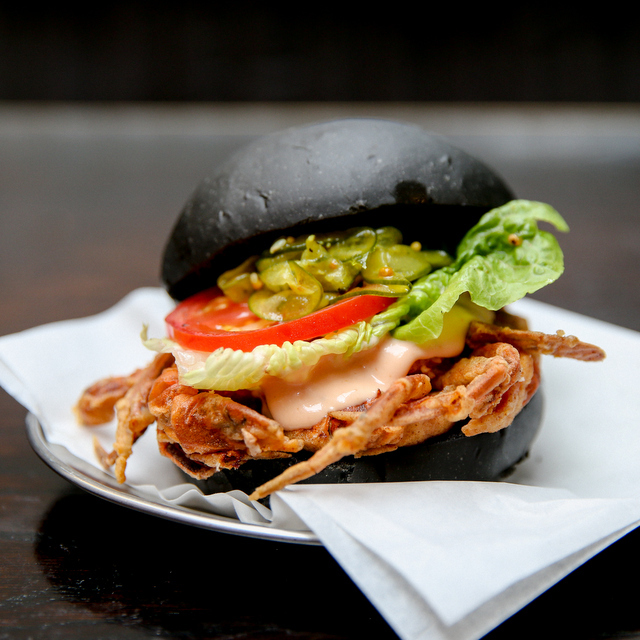 On arrival, Crab bruschetta and Softshell crab sliders lead us into our crabby journey as cocktails pave the way to lasting friendships. 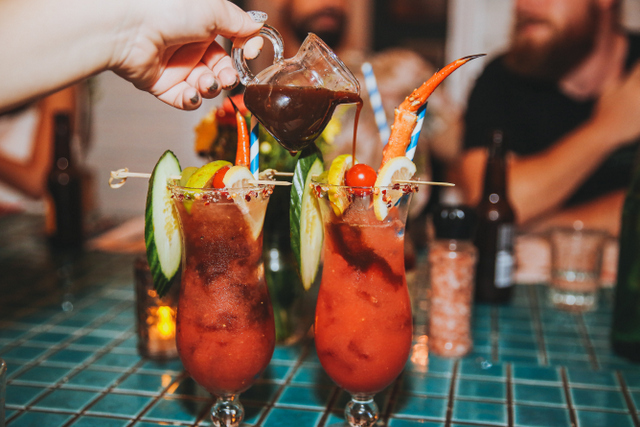 We pass up on the signature Crabby Mary and A Cracking Good Thyme, heading for a cocktail featuring local Husk Distillery Rum – a Bam Bam Thank You Ma’am served in its own copper mug and a very moreish Crab Apple Sangria featuring Treehouse Cider. Seconds cement deals before we move to the table. 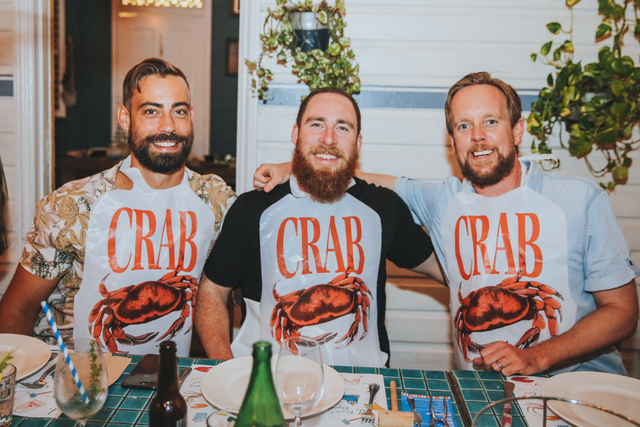 Presenting the feast is Chef Sean Connolly himself, describing Australia’s mud crab as the best on the planet, meanwhile detailing his philosophy for the festival where 900kg of crab will be consumed across the four locations. That’s how crab’s served at the table: Sean’s signature Mac & Cheese and Crab Risotto, delicious and creamy in their glory before the main event begins: huge platters of Salt and Pepper Alaskan Crab legs and Singaporean-style Chilli Mud Crab that we reach out and dig into, cracking and hammering, faces buried in mudcrab, juices dripping down our arms. 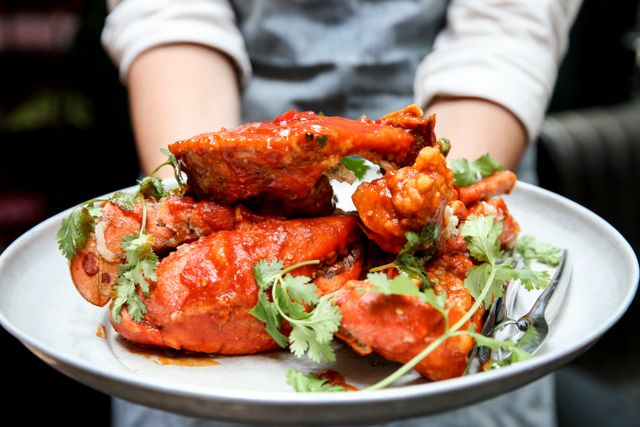 What is it about eating crab that gets us hooked? 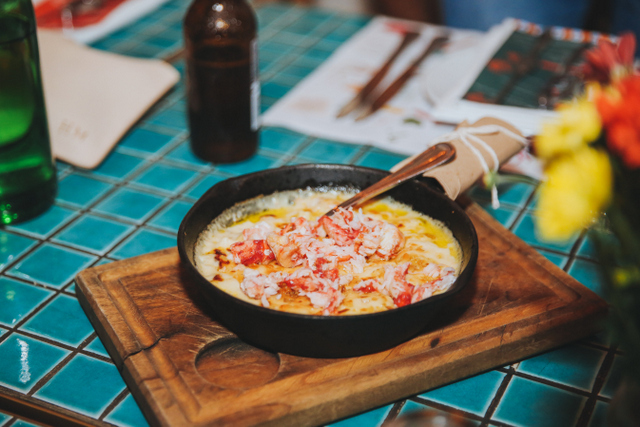 Whether it be Chilli Crab on Singapore’s East Coast or the renowned Mandura Crab Fest, a feast in one of Sydney’s famous Chinatown restaurants or a pre-cyclonic media dinner on a Byron veranda, there’s something celebratory about digging into a feast of crab. It’s a social leveller, dining with a group of strangers, bibs on, juices racing to the elbows. We’re fast becoming friends. 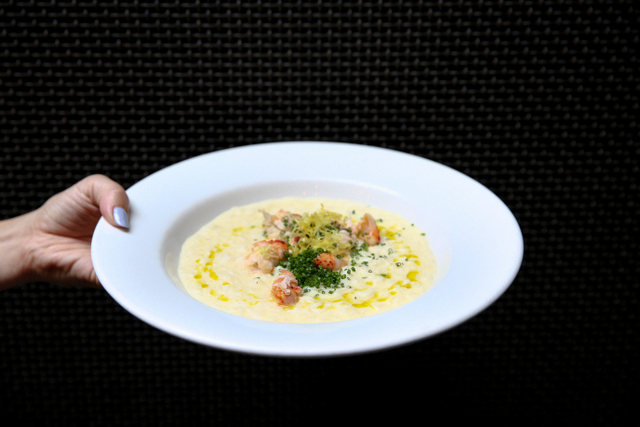 “When I look at seafood I see it as a gift from the ocean,” says Sean Connolly. And maybe that’s it! 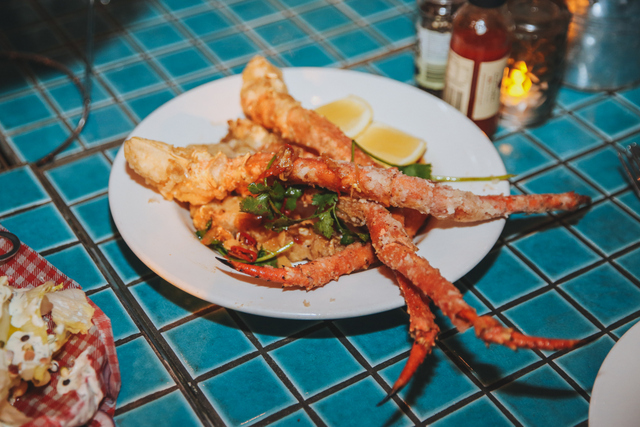 It’s crustacean heaven; a carnival feast, as sustainable as it is delicious. Every morsel is a jewel from the sea; the best that the ocean can provide! 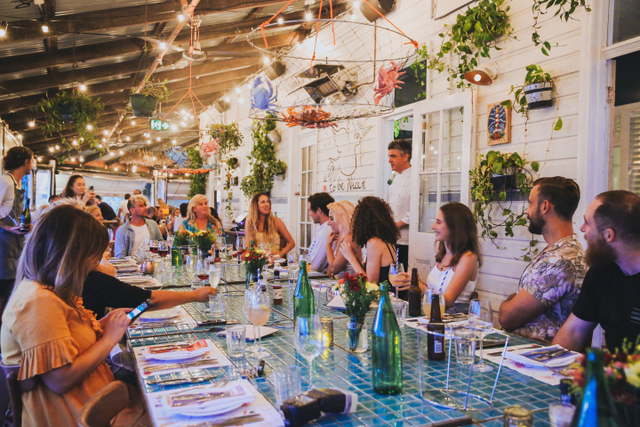 Gather a table load of friends and have a smashing time! It’s an event not to be missed!